Hartley is an amazing lady and a wonderful author. I look forward to reading more from her. I am so glad I found Maggie Hartley's books! I love this genre and read Cathy glass, Casey Watson and one or two others but these three ladies are my favorite foster carers ! Thanks to Amazon who has the list of similar writers ( and products) to peruse. This story was detailed and very well-written, suspenseful, and had a happy ending. My, what these dedicated foster carers do for these poor kids who through no fault of their own, are often hard to manage/live with and have been through horrendous home lives. I like the way Maggie describes what works, what doesn't and does not hold herself up as a perfect foster carer but simply a loving and strong foster mother. I have ordered 2 more of her books! 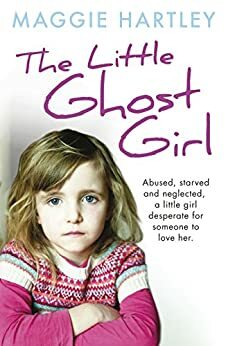 I think the story of Ruth shows what happens in some unfortunate families and how the foster system works- not for entertainment but a memoir and education for readers to learn from.I would like to hear about how Ruth did in her future but maybe that's unknown. * I wish all MH's books were in paperback since I don't like Kindle! I was so mixed about reading this book. Nothing can rip me apart inside like mistreatment (in any form) of children or animals. To me they both are defenseless and their unconditional love makes them off limits for any pain or suffering. I usually stay far, far away from books or anything for that matter that screams of abuse. I read the reviews several times and decided it was looking at things from a different angle and so I would give it a try. Am so glad that I did because I found a hero in "Maggie" because she was helping these poor dears after the damage was done and giving them love, self respect, helping them to lose their shame and horror, listening to them when THEY were ready to open up and letting them feel that they were important and needed. It takes a truly good person with an enormous heart to bring these broken little people back from the he'll they've been through. She and her book deserve a twelve star rating!! 5.0 out of 5 starsThe Little Ghost Girl Will Haunt You Long After You've Finished Reading! This book is written from the first person perspective of a foster care giver in England, but you don't really know this until after you're well into the story. It does a thorough job taking you through the life of Maggie, a care giver, as she invests a great deal of time and hard work helping a child named Ruth adjust to foster care. Maggie takes you through her daily experiences with Ruth, who is initially uncommunicative and combative. You slowly begin to feel all of Maggie's daily frustrations as she attempts to gain Ruth's trust, while at the same time, you begin to understand how rewarding Maggie's job is as she begins understanding and unraveling the mystery of this troubled and neglected "ghost" child. With a great deal of ingenuity and patience, Maggie ultimately gives Ruth a much better chance at leading a successful and happy life. problems Ruth used as armor in a world that had shown her very little love. This book brought tears too my eyes and joy to my heart. I likely read this book with maybe a bit of a different view, as I was a foster child in 15 homes from ages 8 to 18. I experienced some similar abuses and was, myself, a bit of a pain after being bounced and abused. I wish I had a carer that was as least half as kind, loving and intuitive as Maggie. She is a gift to fostered children and the literary world. Much love to all who give of themselves by being a foster parent and 3 cheers for Maggie!!! 5.0 out of 5 starsUpbeat, engaging. I have a short attention span and have been really struggling to find books i could finish. This one hit the spot. Perfect for reading on a long flight. Lots of story, little bits of insight, and no fluff. I even cried near the end! I downloaded this one after reading her book about the baby that didn't cry, and enjoyed this one even more. Will look for more in this series. This is a real review - i found the book on my own, and got no discounts or anything like that.